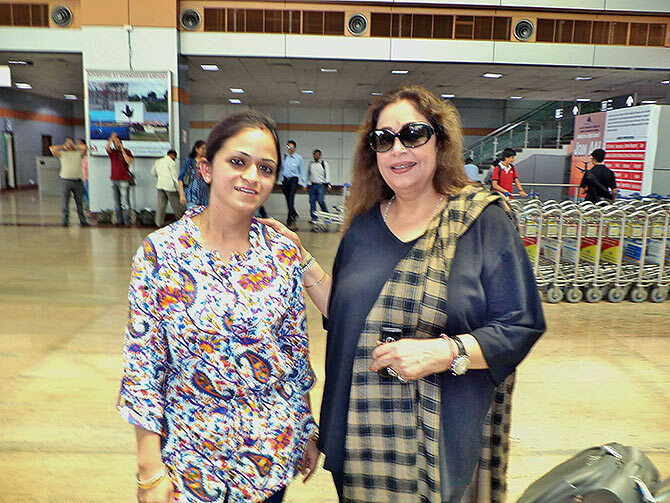 Reader Rajesh Khurana's wife Harpreet Kaur met Kirron Kher at the Chandigarh International Airport, and sent us a photograph. Ranbir, Irrfan, Salman: BEST choice to play Sanjay Dutt? VOTE!